Summer is almost here! 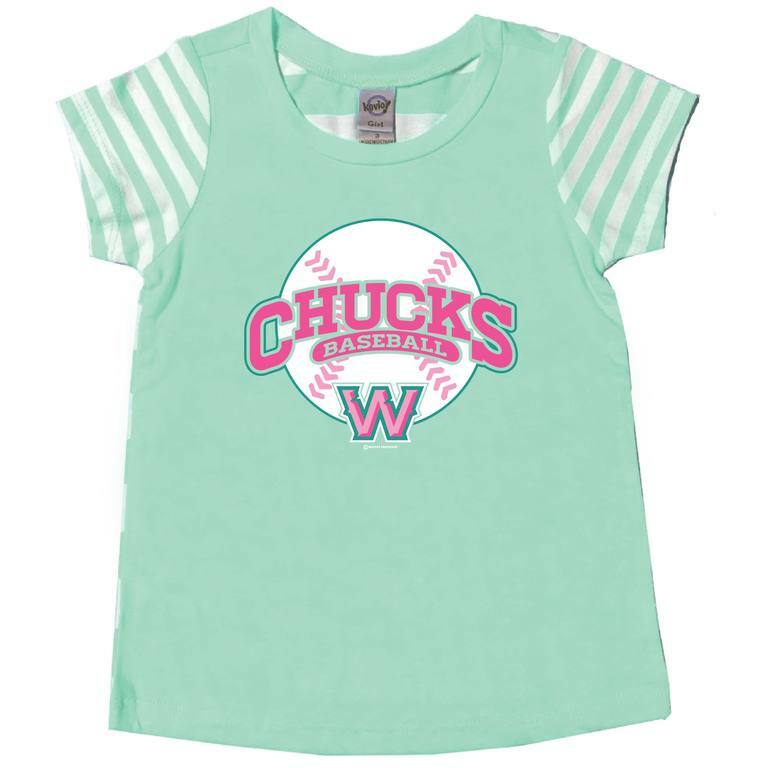 Be sure to snag this tee for your little 'Chucks fan. This heather ice green tee features a contrasting striped back and sleeves. So cute, these won't be around for long!